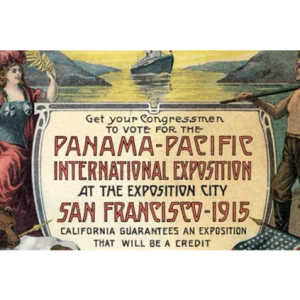 2015 marks the 100th anniversary of the Panama-Pacific International Exposition (PPIE), the World’s Fair celebrating the completion of the Panama Canal and showcasing San Francisco’s recovery from the devastation of the 1906 earthquake and fire and its reemergence as a global city. 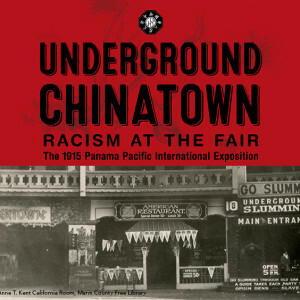 Join us at the Alliance Française on May 1st for the exhibit’s grand opening, as we celebrate on the occasion of the Centennial of the Panama-Pacific International Exposition of 1915, and present an exhibit that celebrates the importance of the French community in San Francisco’s History, with an introduction by Dr. Claudine Chalmers. 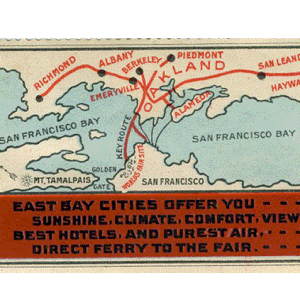 Thousands of French immigrants contributed to the founding and growth of the City by the Bay, from its earliest days to the present. 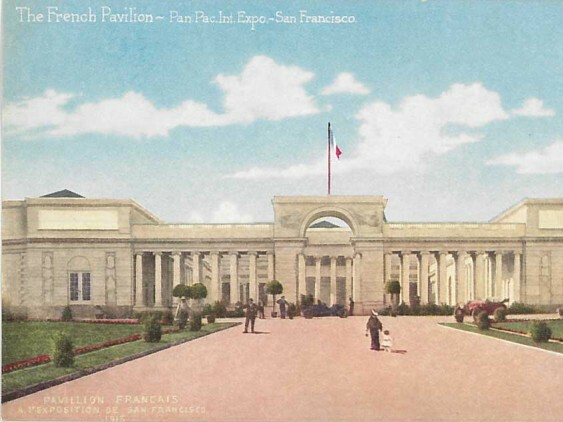 These posters and artifacts offer a glimpse of just how French San Francisco was and still is, and why it was known as the Paris of the Pacific.